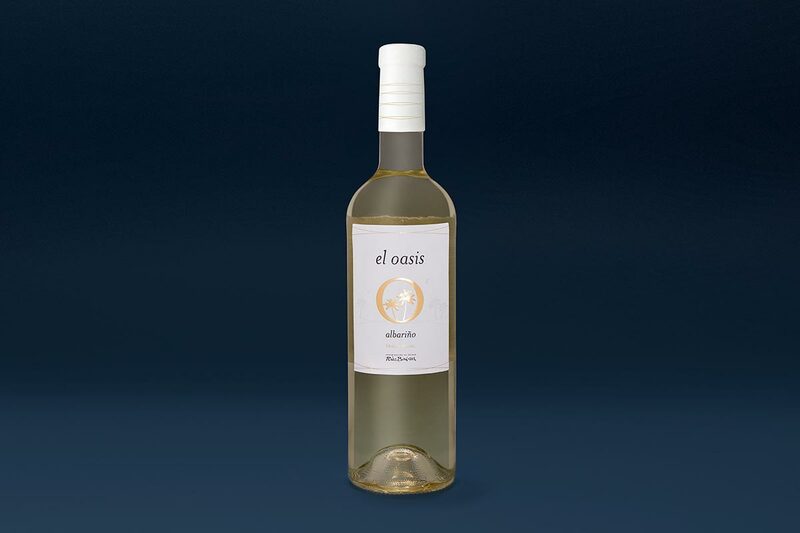 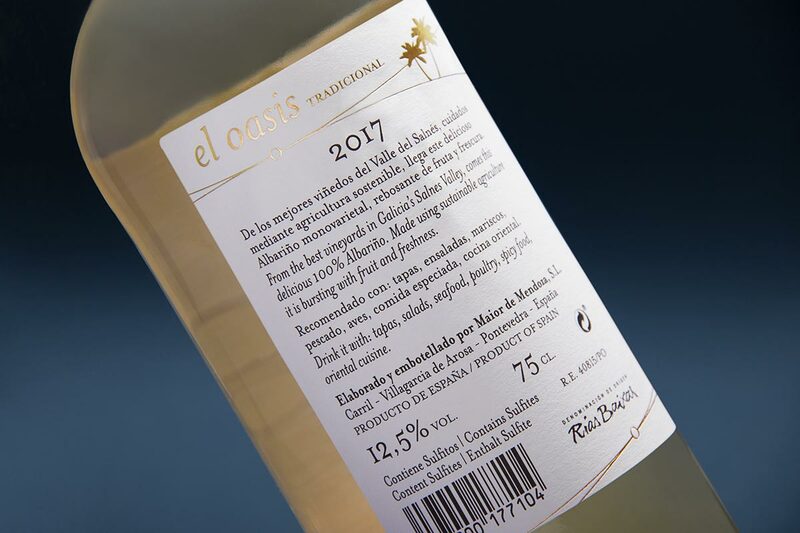 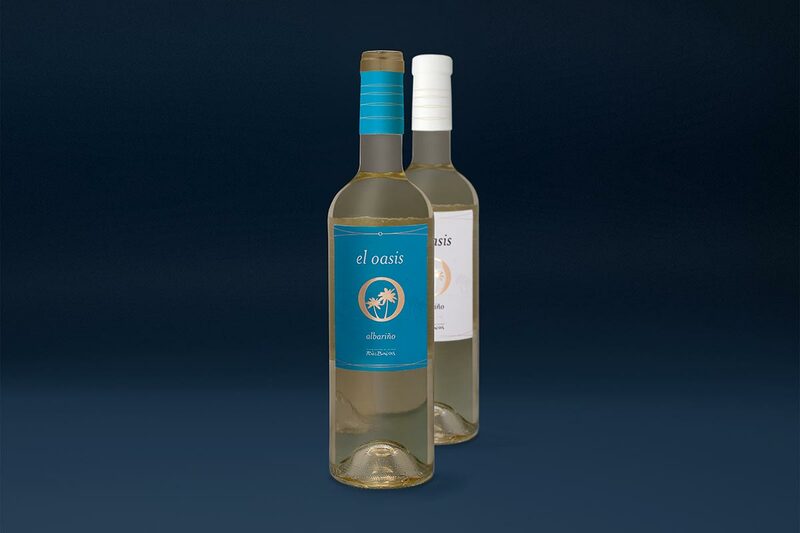 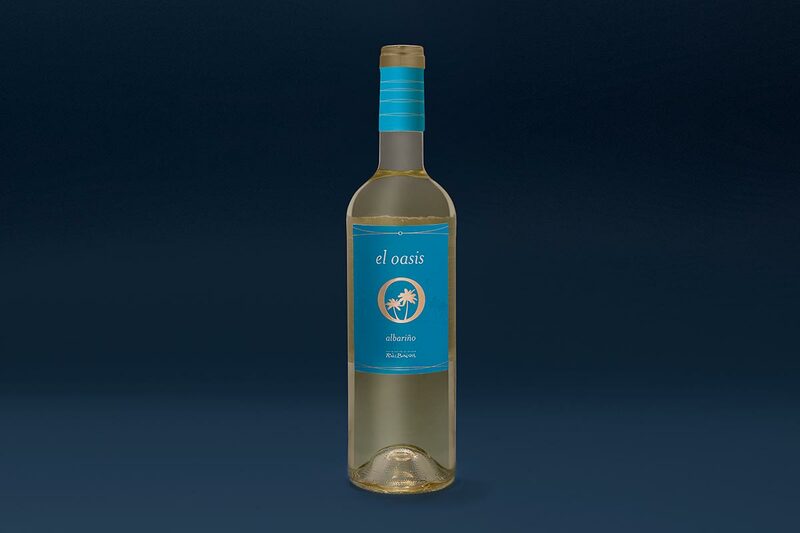 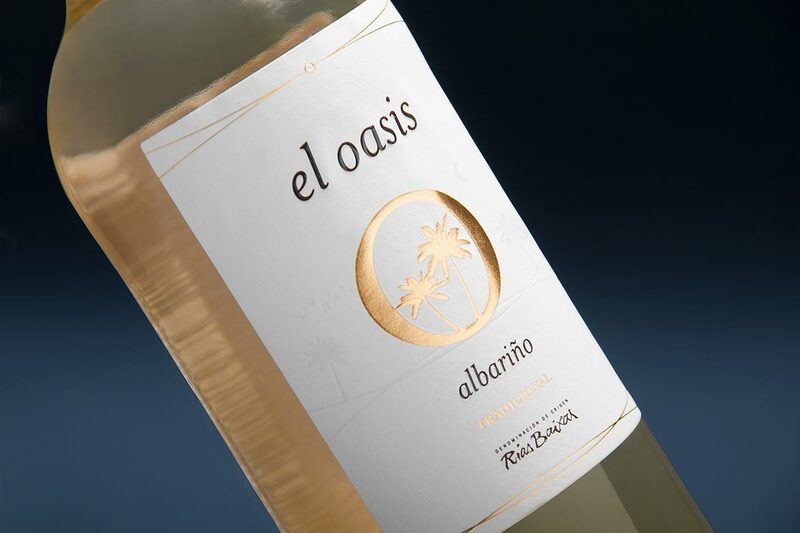 Behind the evocative name of El Oasis lies a complex and elegant Albariño wine produced exclusively for British and American markets. 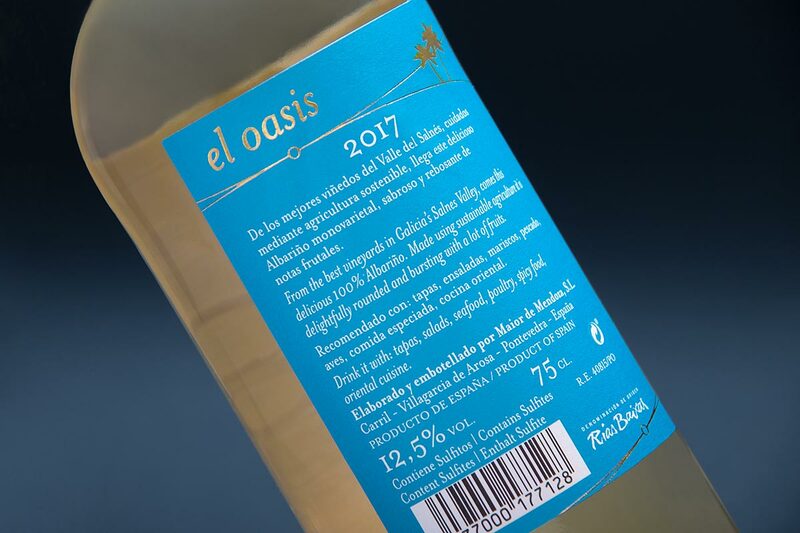 The design process for these white wine labels was based on the search for a powerful icon that could encapsulate the brand in a simple way. 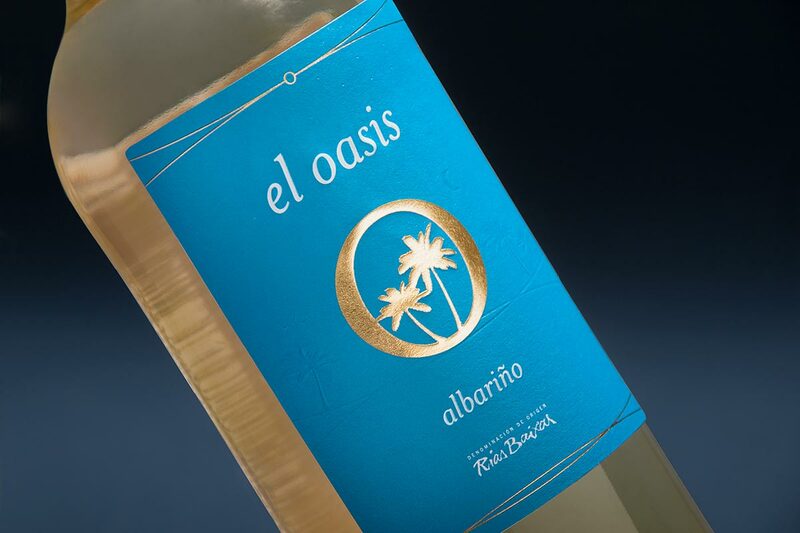 A gold-stamped palm tree became the focus for capturing buyers’ attention. 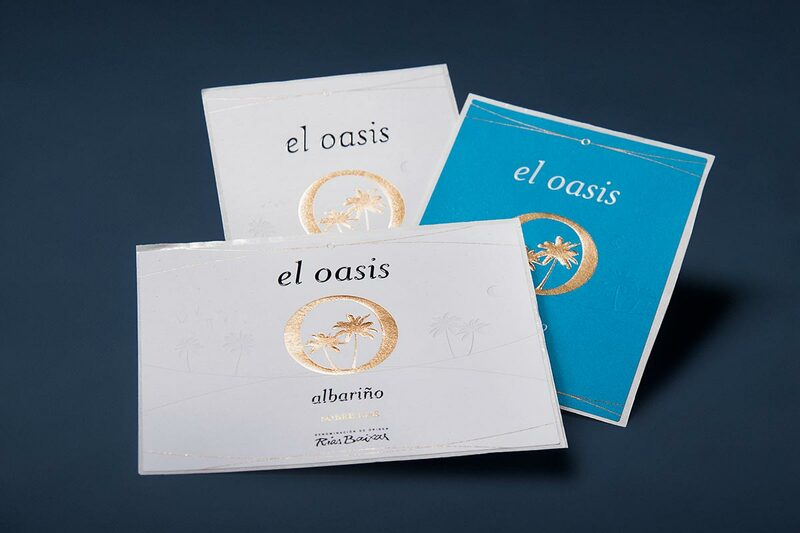 On a second level of communication we positioned a subtle embossing whose relief added several of the elements that make up our oasis: birds, the moon, and more palm trees.